Rich Brennen leads Spencer Stuart’s North American Information Officer Practice. He has recruited more than 250 chief information officers, including the top information technology executives for many Fortune 500 companies and other internationally renowned organizations. 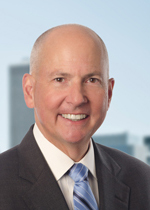 Throughout his 20-year career at Spencer Stuart, Rich has placed CIOs and other top information technology executives at Allstate, Aon, CBRE, Cigna, Federal Reserve, Hershey Company, Kaiser Permanente, Kroger Company, State Street, TJX (T.J. Maxx, Marshalls, Home Goods), Walgreens, Walt Disney Company, and many other industry leaders. He also has placed numerous technology executives in board of director roles at clients such as Bob Evans Farms, Dun & Bradstreet, Key Bank, the Royal Bank of Canada and Zebra Technologies. Recently, Rich led Spencer Stuart’s global Technology, Communications & Media Practice and also spent 10 years as a member of Spencer Stuart’s board of directors. He is a member and the former chairman of the firm’s board of director selection committee, former chairman of the firm’s personnel committee and former chairman of the firm’s information technology committee. He has received the firm’s Lou Rieger Quality Award nine times for his high-quality work for clients. Rich spent more than 15 years with IBM, where he played a key role in helping to build IBM’s worldwide information technology strategy and planning consulting practice. He also managed IBM’s sales and marketing operations in New Jersey. Rich holds a Bachelor of Science in mathematics from Saint Joseph’s University in Philadelphia and an M.B.A. in management from Temple University.